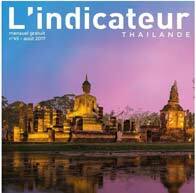 Published by the magazines L'Indicateur and InThailandia translated into English. Some of the articles are also reported underneath the pages related to the various legal subjects. We recommend our readers to look for the subject of interest and to read the articles throughly in order to better understanding the laws and the traditions governing the Kingdom of Thailand. Reading our articles may as well be a good help to understand the best procedures that your case requires. Discover the differences between the Thai and the westerns Criminal systems. How to defend and protect yourself and how to choose the best criminal lawyer. What is the best and fastest way to get a just compensation? How should we proceed. Divorcing in Thailand can be quick and easy or a never-ending "War of the Roses"
Inheritance Law. What you need to know. We all know that "panta rhei", everything flows. Nevertheless the changes that are taking place nowadays in Thailand are absolutely precedent-less. Even though some of them were somehow expected, nobody could imagine that they might happen so suddenly, "out of the blue", as they would say in english! The new trend has broadcasted one simple, clear message: law shall be respected...even in Thailand. In our earlier articles, we have analyzed some aspects of this "new trend", but changes are happening so fast that some of them are already obsolete even while we are writing. For example, a new tax on inheritance will be very likely soon approved, visa rules, especially in regard of foreigners overstaying, have radically changed. There are rumors of new adjustments coming soon. The government also decided to relentlessly fight corruption at any level. Many police officers have been reshuffled and reassigned, cameras will be monitored to catch people trying to bribe. Companies with foreign national share holders or directors are in many cases under severe, accurate scrutiny in order to unmask "nominees" and "shell-companies". The notorious "Computer Criminal Act" has been enforced as never before and even writing a slandererousoffense on a social network including FB and Line is considered a serious crime, to not mention sending pornographic pictures to a third party. We are literally living in a sort of bureaucratic, bloodless "French-May" : ce n'est que un début...Thai style, of course. 1. Thailand is no longer the country of twenty years ago, when people could drive cars without a proper license risking a hundred baht fine or drink and drive without serious consequences. Now, if you drink you had better not drive for you can get incarcerated till you pay the fine and, if caught a second time within two years from the first offense, immediately deported and blacklisted...Just to make a couple of banal examples. 2. Bribing public officers won'tbuy you out in most circumstances and it could, on the contrary, be a ticket to jail or bigger fines. 3. There is one thing that hasn't changed and will never change: Shouting while claiming your right will, in most cases, take you to hell. And this is a point I very much want to emphasize here. It took it me many years to understand it. Thai people are usually and historically good hearted and tolerant, but they are also a proud people. If you have Thai friends or a Thai partner you certainly know it. They hate arrogance, especially if coming from foreigners. Speaking in a loud voice in a Court of Justice for instance, can be considered contempt of Court. Speaking loudly and harshly in no circumstance will help you, nor make you better "listened to", it will only cause hostility and make your counterpart totally deaf. No matter who she or he is: an officer, a wife, a worker. You can be sure that you will obtain the same negative reaction with no advantage for yourself and even if you are right you will be deemed deadly wrong. On the contrary, in any possible circumstances, speaking out your reasons firmly, but with courtesy and moderation will do miracles. In an old article we have explained the enormous influence of the tradition on the Thai society sometimes in derogation of written laws. Today, as Court interpreter and law-expert, let me tell you: even in worse cases keep calm, control your tone, and remember: "Kao meung ta liao, tong liao ta tam"...if you enter the town of the cross-eyed, you'd better cross your eyes! Try with a smile.